you can do so by clicking the Donate button below. I HOPE THAT YOU WILL “THINK” HOW KTXK AFFECTS YOUR LIFE EVERY DAY. “THINK” ABOUT WHAT HAPPENS IF KTXK CANNOT CONTINUE TO BRING YOU THE PROGRAMMING YOU EXPECT. PLEASE “THINK” ABOUT KTXK AND ITS IMPORTANTANCE IN MAKING YOUR DAY A FULLER EXPERIENCE. 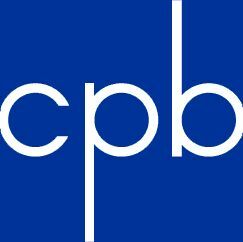 PLEASE “THINK” AND THEN PLEASE GIVE IF YOU CAN, TO SUPPORT THIS PUBLIC RADIO SERVICE, “THINK” RADIO. YOUR SUPPORT IS OUR LIFE BLOOD. 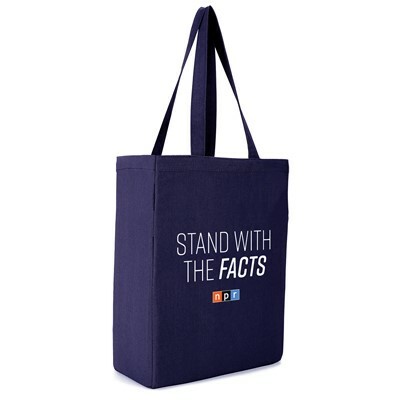 We are continuing to say THANK YOU with gifts at various pledge levels. 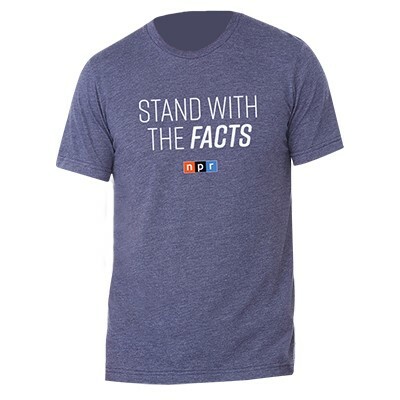 I very much want to reward our listeners that pledge at different levels and to say thank you. Please know that I cannot thank each of you enough for the support you give us to keep our mission alive. We continue the unique opportunity for those of you pledging at the $200.00 level or above. 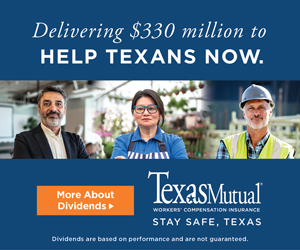 At this level we are going to give your business or favorite charity a month long underwriter package on KTXK OF 35 ANNOUNCEMENTS. They will sound just like any other announcement on the air and be recorded and written by me. Here is a chance to promote yourself, another business, or your church. I also encourage our members to call me anytime with any concern you may have at (903) 748-4541 or email me to steve@ktxk.org. 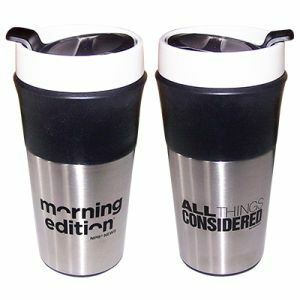 The tumbler features the new All Things Considered/Morning Edition dual logo and has a ceramic interior, foam insulation, stainless steel outer wall, silicone grip, push-on lid with sliding cover, and rubber non-slip base. 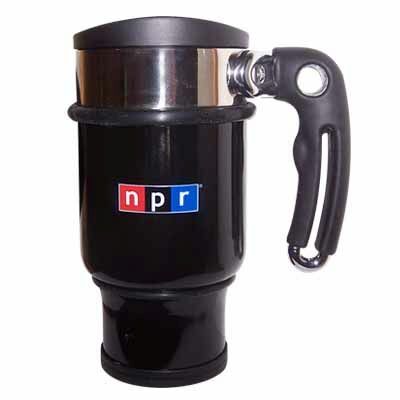 Carrying the 4-color signature logo of NPR against the sleek, black background. 14 oz. “Double Shot” travel mug, constructed of double-wall, restaurant-grade stainless steel, is also a mobile French Press with patented plunger press and stainless steel mesh screen. Hand washing recommended. Do not use in microwave.